"I've lived in Durham for 12 years, and..."
I love talking to people who grew up here or have lived here for many years. It's both interesting and important to hear stories and glean culture from these long-time Durhamites. However, often, the phrase above is a precursor to an opinion about how Durham should deal with a certain problem. Mentioning how long you have lived here is sometimes meant to legitimize their opinion. Often (certainly not always), people are implying that because they have been around longer, their opinion about Durham is more valid. In some ways they are right. 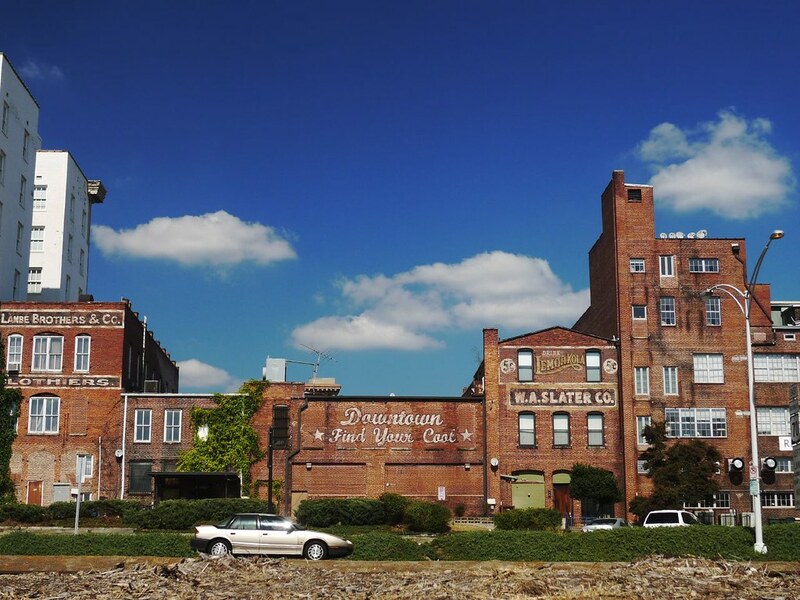 They have more context and understanding about what historically makes Durham special. However, long-time residents seem to be discounting the opinion of two groups. The first group are the more recent transplants. To be transparent, I am one of those people. I moved here almost 2 years ago. I immersed myself in the city as much as possible, but I understand that I still have a whole lot to learn. At the same time, while long-time residents may have more context, newcomers are more able to envision positive changes and a better version of Durham. There are a diverse population of people moving to Durham as it rapidly expands. The chart below, originally from the Washington Post, shows that, adjusted for population, Durham is in the top 10 most popular cities for white, black, and asian populations to move to! This diverse influx of people brings a diversity of new ideas. If we combine those new ideas with the ideas based in the established culture of the city, Durham might be better off for it. The second group of people that are susceptible to being discounted are the people that have not yet moved here. Their ideas can't be heard, but we, as a city, can and should keep them in mind the city grows. Durham is a special place in North Carolina in that it is welcoming to all. I would love to see Durham maintain that inclusionary spirit, while also planning for an influx of people who are coming. Are we even close to keeping up with our housing needs in 2020? 2030? 2050? 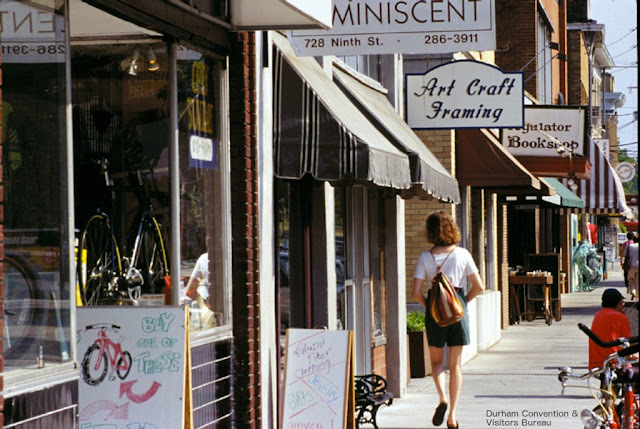 Do we have spaces like the Durham Belt Line that all current citizens can enjoy alongside large numbers of newcomers? Do we have policies and infrastructure in place to continue to be welcoming to everyone, whether they be wealthy entrepreneurs, excited to innovate in Durham, people looking to build a life and a family, or refugees, looking for a place that they can be safe? There are many more instances where I have seen long-time Durhamites welcome newcomers, excited to meet new people and collaborate. But growth and a population boom is a tricky time. Durham will have to walk a line: temper nativist, exclusionary attitudes, while not letting newcomers sterilize the rich culture that has existed here for years. This post has been a little abstract, perhaps and there are no clear action items. However, it feels like an important topic to mull over. At the very least, it's something that I want to keep in mind as I think about the city and its future. Another element at play here is that newcomers are generally perceived (perhaps correctly) to be better educated and have higher incomes than natives. That's generally true across NC, but in a tech hot spot like Durham, it's especially true. The Durham-Chapel Hill metro is like the 4th best educated metro in the country (on par with DC, Boston and San Francisco) but the distribution is heavily tilted toward newer residents. This generates resentment around issues like gentrification especially. It doesn't help that established wealthy communities are very resistant to change with regard to increasing density, mixed-use, etc. and also very powerful, which restricts development and increases the cost of living problems (by restricting the housing supply). This isn't an easy problem to address, because what's good for Durham's macro economy (namely, attracting well-educated migrants and growing a thriving tech sector) can be pretty difficult for long-time residents who feel locked out. This is a problem all over the country in tech towns especially, and I'm not sure anyone has figured it out. Well said, Steven. I agree that this is a huge issue in a lot of places and nobody seems to have figured it out. Durham, more so than other places, though, is at least grappling with it. I'm not sure if that will amount to anything in the end, but it's nice to know the effort is there. This is a great article. Thanks for writing it. An equitable and just Durham must be welcoming to all newcomers: past, present and future. Most cities get this wrong, evidenced by existing residents acting anti-newcomer in borderline xenophobic ways. That's Durham at its worst. I hope, and believe, we can do better.